At Principium Psychiatry we utilize state of the art technology and have partnered with NeuroStart. At Principium Psychiatry we use NeuroStarTranscranial magnetic stimulation (TMS) to conduct treatment sessions. Transcranial Magnetic Stimulation, or TMS, is the latest generation of direct brain stimulation therapy for the treatment of depression. Using non-invasive technology, the regions of the brain implicated in depression can be stimulated, to treat debilitating symptoms depression. TMS does not involve medication and is performed on an outpatient basis. Dr. Cohen offers TMS in a discreet, private office setting in the heart of Manhattan on W 57th St, with a view towards Central Park and NYC Landmark Alwyn Court. Dr. Cohen will provide a full consultation on the indications for TMS as well as review psychopharmacology history and options. 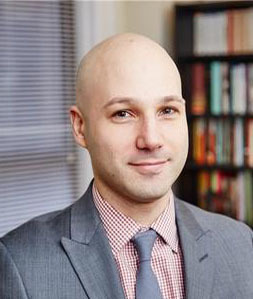 Dr. Cohen works closely with patient’s primary psychiatrist, TMS technician, and device manufacturer, Neuronetics, Inc., to provide optimal treatment outcomes. 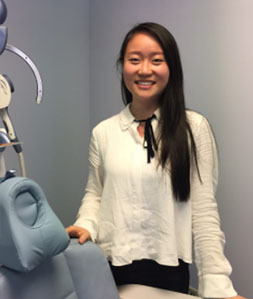 Yiling Wang earned her bachelor’s degree in Neuroscience from Duke University, where she worked as a research assistant at the Department of Psychiatry and Behavioral Sciences. She is completing her graduate studies in Neuroscience and Education at Columbia University and is a certified TMS technician.